NetEnt, one of the more famous software developer in the online gambling market has announced happily that they’ve inked out a content supply deal with GAN. This’ll see the Swedish based developers providing their software within the United States of America thanks to GAN. Unfortunately these games won’t be available to be played in a real money format. Instead GAN is providing a simulated gambling platform that’ll give players the chance to play these games for free, essentially they’ll be available for purely entertainment purposes. GAN’s gambling services are offered in dozens upon dozens of different land based casinos within the USA. This means that NetEnt will be able to slowly make a name for themselves in the US. Users will be able to broaden their knowledge of the platform and once gambling becomes more available in the country thousands to millions will know of the NetEnt platform. Essentially this content supply deal is working as a future investment in the US Market. By offering their platform for free it’ll spread the word of their games and then when gambling becomes more available within the US in an online manner, Net Ent will be able to stand as one of the leading developers. This in return could mean that they could take control of what’ll be the largest gambling market in the world once again. 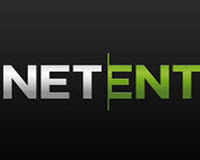 NetEnt hasn’t revealed any information officially as to why they’ve entered this content deal. Hopefully their presumptions that the US Online Gambling Market will become regulated are correct, for if they are wrong this deal is pointless.